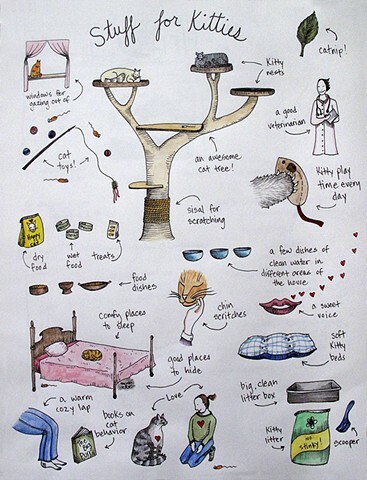 Elizabeth Eero Irving - Stuff for Kitties: Everything you need to make your kitty happy! Proceeds from the sale of this poster are donated in full to Pet Pride, a feline rescue shelter in Fairbanks, Alaska. Stuff for Kitties: Everything you need to make your kitty happy! Proceeds from the sale of this poster are donated in full to Pet Pride, a feline rescue shelter in Fairbanks, Alaska.